I love chili of all kinds. 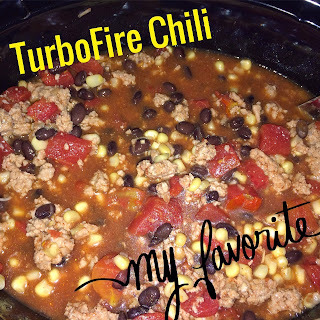 It just reminds me of growing up and winter days eating chili in front of a football game! But I love this recipe that is clean and ohh so tasty…It's hard to stop at one bowl, to be honest!! Directions. Brown turkey. Drain and discard any fat. Place all ingredients except cheese into a slow cooker. Cook for 4 hours on low or 2 hours on high. Top with 1 oz cheese if desired.